How do I restore the product’s default settings? Reset the watch. See below. 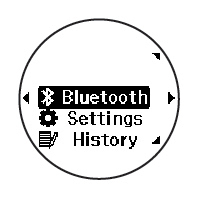 If you need to delete all the data and settings from your watch's memory, you can reset the watch. Note: You may want to upload your workout and activity data to your smartphone using the Epson View app before resetting your watch. Press the Up or Down button to select Settings > System > Reset > Yes. Your watch resets. When it is finished, it restarts and displays the Language screen. Now you can configure your watch again.